Disney has finally set a launch date and price point for Disney+, its upcoming streaming service. The company’s ad-free OTT play will launch on Nov. 12 and cost $6.99 a month and $69.99 a year. The announcement was made Thursday during the company’s Day at its Burbank-California studios. The service will roll out to other markets beginning in 2020. Along with housing titles from Disney brands including Marvel, Pixar, LucasFilm, National Geographic and its own vault, Disney+ will feature a number of original productions. Disney will invest a little more than $1 billion cash in original content for Disney+ in 2020, with that number raising to “mid $2 billion” by 2024, said Disney CFO Christine McCarthy. Disney is entering a crowded field in the streaming arena that will also see Apple and WarnerMedia launch their own subscription-based offerings, with Comcast planning one for 2020. When it comes to TV, winter is typically no fall — but a few of these series premieres could have made the cut for an earlier start, ratings-wise. 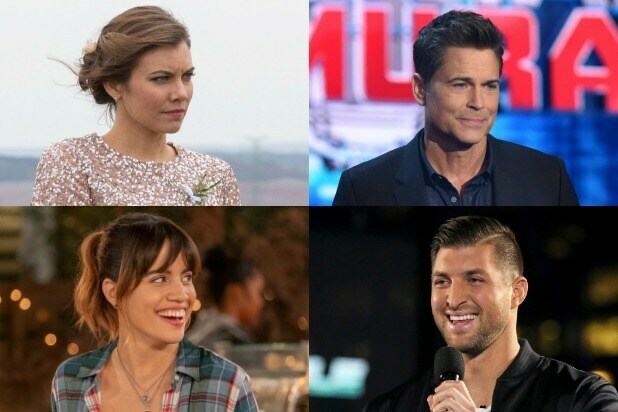 TheWrap has ranked all of broadcast’s midseason debuts (so far) by their “live” total-viewer tallies. A pair of new singing competitions were impressive, a kinda-sorta reboot on The CW was not. Scroll through our gallery for the Nielsen returns from the 18 debuts we’ve seen. TheWrap will update this post as more new broadcast shows start. Find our Fall TV version of these rankings here.